The nature and narrative of America’s religious history is being battled out with full page ads in the state’s largest newspaper. 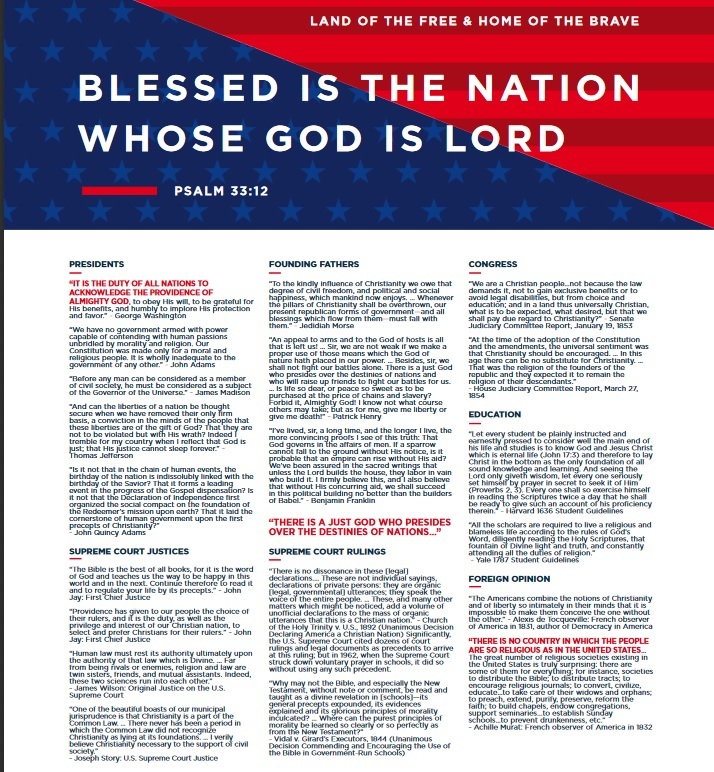 First it was Hobby Lobby placing a full page in The Oregonian on Independence Day (Independence Day ad here). 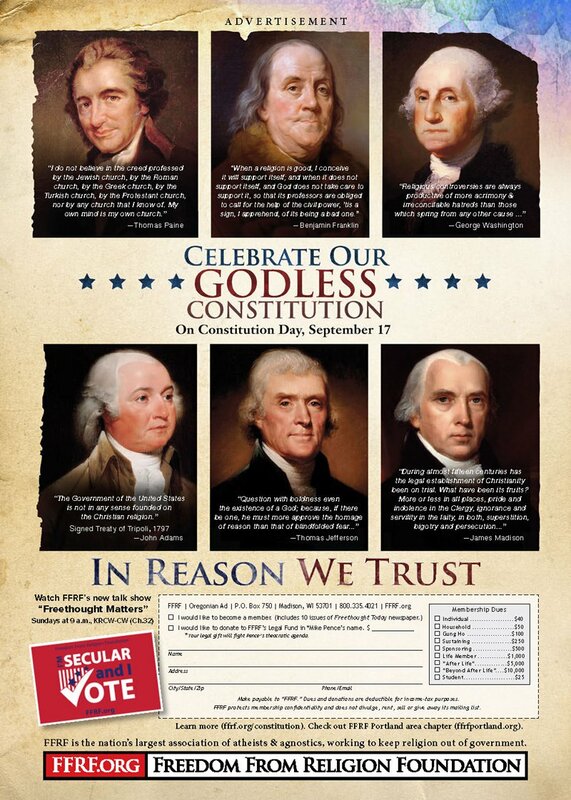 Now this weekend, the Freedom from Religion Foundation, used the upcoming Constitution Day, September 18th, as perfect timing to place a full page ad in the Sunday Oregonian and Monday’s Oregonian entitled “Celebrate our Godless Constitution”. 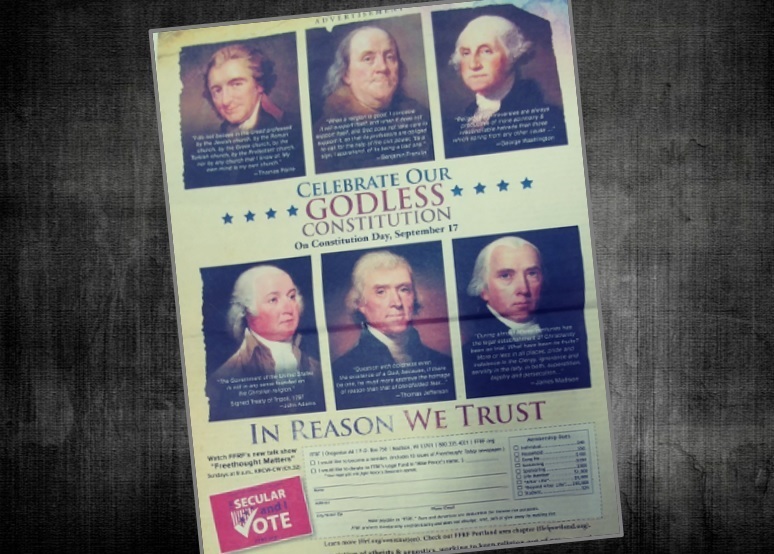 The ad also highlights the phrase “In Reason We Trust” and features six American Founding Father quotes that speak about their secular observations or their criticism of modern religion. 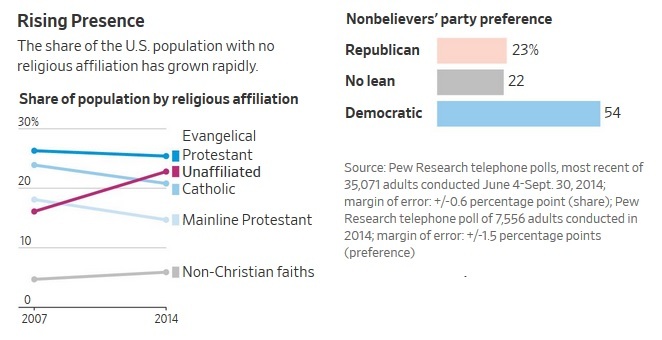 The outspokenness of secular and atheist Americans reflects a growing trend in the nation. 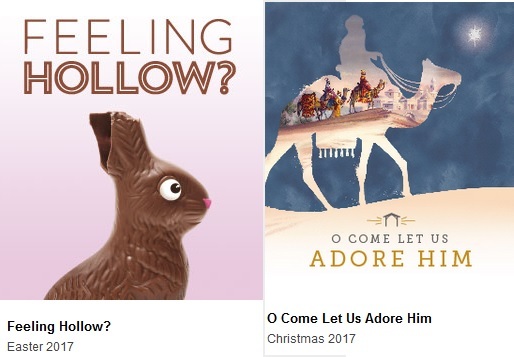 Hobby Lobby also does many seasonal full page ads across the nation promoting holiday inspiration messages, see below for their 2017 advertisements. See more. 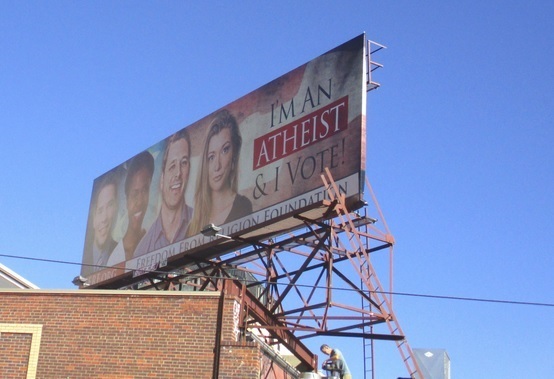 In another high-profile media case, the Freedom From Religion Foundation erected billboard in Denver reminding readers that they exist and they too participate in our democracy. What are your thoughts on the debate on America’s history and heritage? I don’t understand why they say the Constitution is godless? What point are they making? So the Freedom From Religion has 2 ads, Hobby Lobby 1. Be fun to see Hobby Lobby’s response. Christians and atheists have long argued about creation. A Christian believes that man was made by God in His image. An atheist believes that man is just a product of evolution, that man evolved from a monkey. I believe both views are true. If in doubt about a persons origin, there is a very simple way to determine those who are made by God in His image and those who are modern day monkeys. 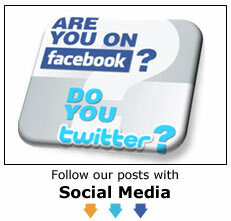 Just ask the person. I believe the big problem is that this fight is being conducted by most people in the policies America implements. Instead,we should go back to secular government, leaving religion out of all things government. The most obvious example is the fight over Intelligent Design in schools. We should reinforce what Science backs up and can be verified, and once students arrive home after school each day the government has no right restricting a parent’s religious education of their child.